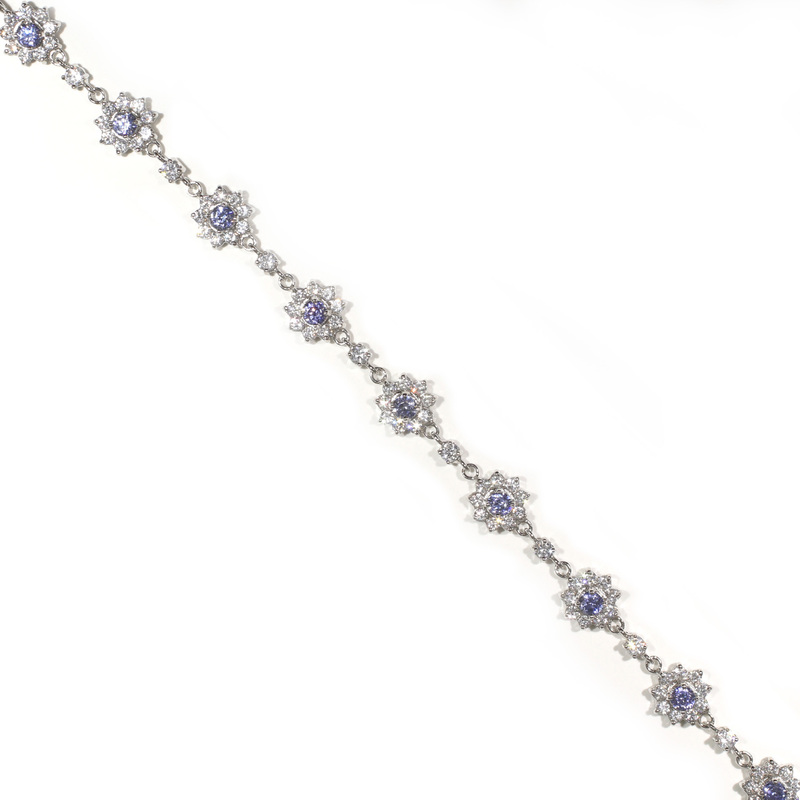 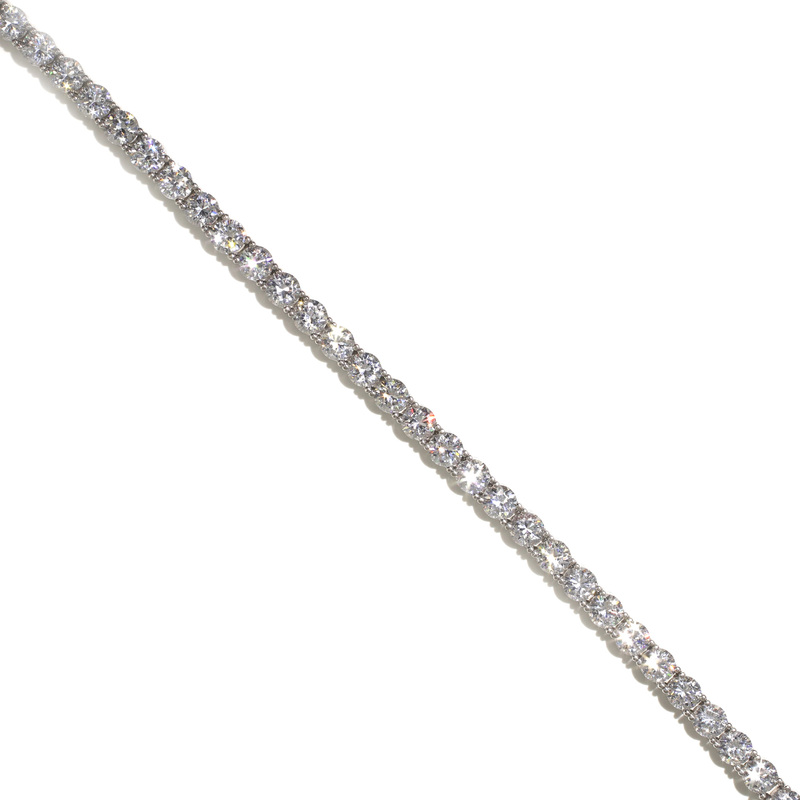 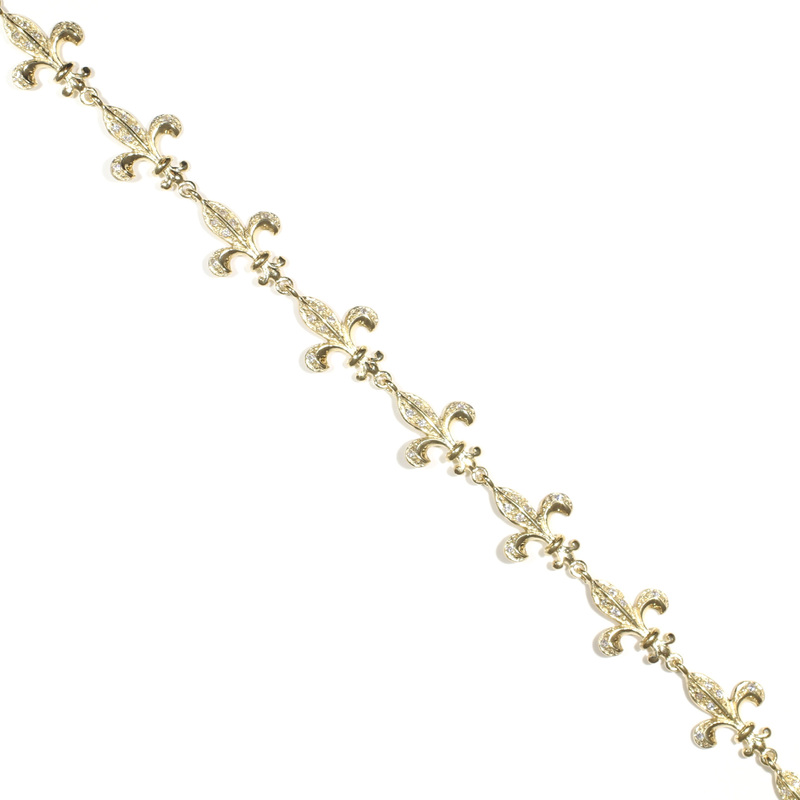 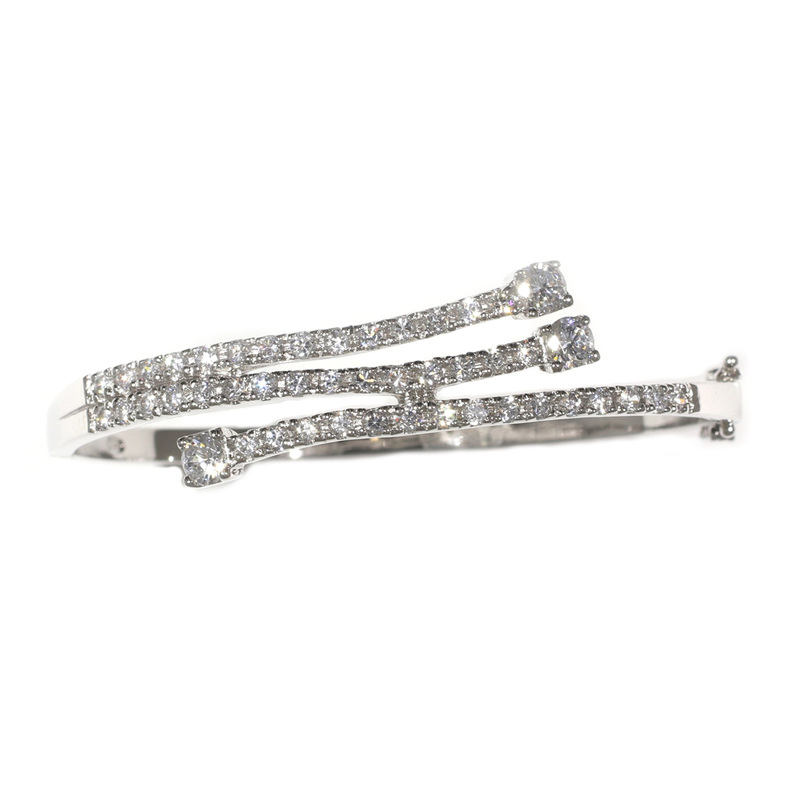 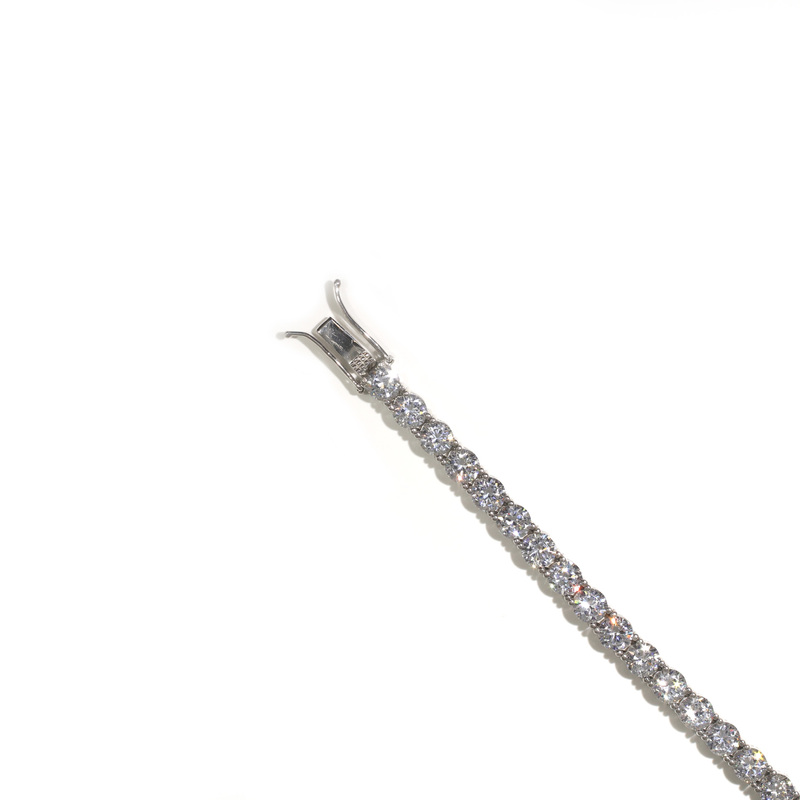 32 5mm stones in a classic tennis bracelet setting. 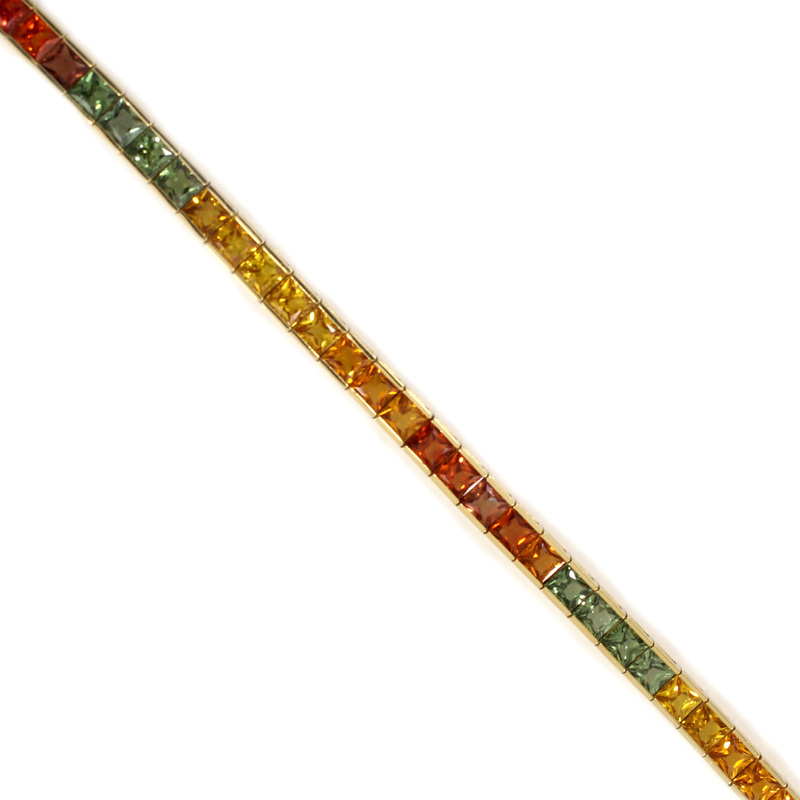 Bracelet measures .20″w x 7″l. 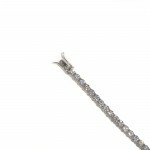 All stones are Russian cubic zirconia set in sterling silver clad with rhodium.